Didn’t get around to playing this. Hmmm, somehow every time I fly a plane and eject, in turns out my character is female. Is this a bug I wonder, or intentional? Maybe the pilot is a separate class to the four standard ones (Assault, Medic, Support and Recon) although I didn’t think it was… Also, I continue to have issues where I get stuck on the loading screen between maps – this often requires me to Alt+F4 in order to exit and restart the game. Annoying. The Frontlines game mode also seems to be bugged at the moment – often the attacking team is unable to pick up one of the bombs meaning it gives quite an advantage to the defender (since they only need to focus on stopping one bomberman instead of two). Oh, and technically, while I’ve marked my Percentage Complete stat for this game at 100% (since I’ve played it for at least 10 hours in multiplayer) I’ll probably play it for a couple of weeks more after the Tides of War update so I can check out all the new features. I didn’t get to play Urban Empire this week. 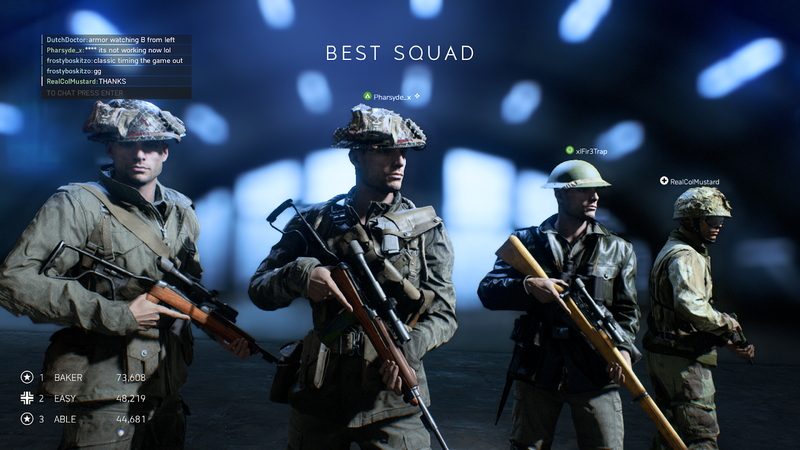 Too much Battlefield V! I didn’t get to play Black Flag this week. Too much Battlefield V! I didn’t get to play much of Sid Meier’s Pirates! this week although I’m continuing to search for map pieces since there’s really not too much left to do.